GIRLS NIGHT OUT...Grab your girlfriends, mom, sisters, aunts and head on over to the farm! 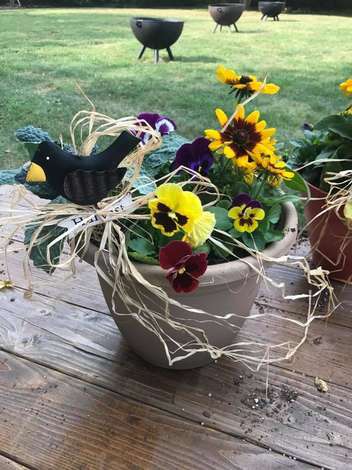 We will have a Fall Patio Plant Class with our very own, Cheri Hamilton with C&H Plants. She will teach and assist you in planting your pot. She provides a pot, soil, 2-large plants, 4-small pansies. You CAN bring in a basket or a pot of your choice if wanted. Large plants would include: ornamental cabbage/kale, sunflowers (annual Rubedeckia), and Chard.